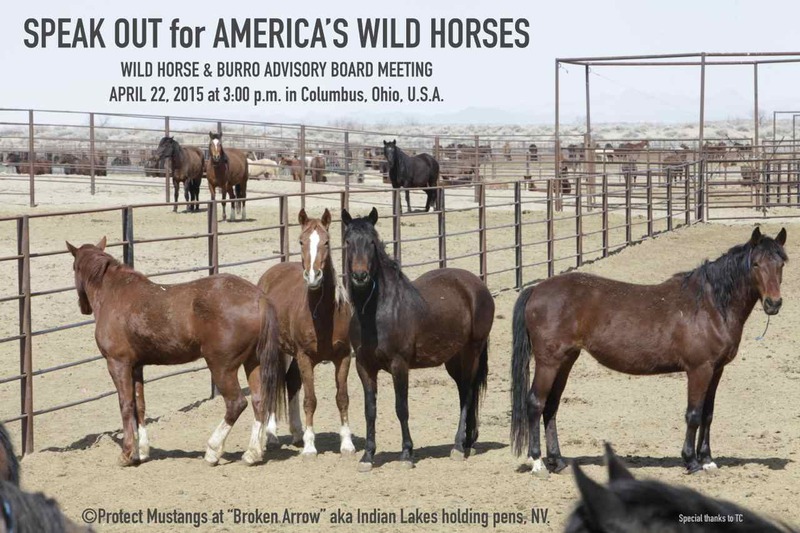 In all time zones for Mustang Monday™ please email President Obama and ask him to Stop the Calico Roundup now. Tell him that less than 2 years ago 1,922 wild horses were rounded up and that you don’t want them zeroed out. Mention there is no accurate head count and estimates cannot justify a roundup when thriving natural ecological balance (TNEB) exists on the range. Bring up the fact that the National Academy of Science is conducting a study on management but needs to have mustangs on the Calico range to study. Tell the President that wild horses are valuable and should not be cleared off public land to make way for the ‘New Energy Frontier’ but rather there can be a win-win with the wild horses roaming freely on their home land. Click here to send your email http://www.whitehouse.gov/contact/submit-questions-and-comments Send a copy to Contact@ProtectMustangs.org and we will post it on this site. You can Tweet the action by using this link http://www.twitlonger.com/show/ea06j6 . Please use the hashtags #MustangMonday and #WildHorses or #Mustang . The last Calico roundup was the deadliest roundup in history. Let’s make our voices heard and stop this now!